Having a dependable scooter or wheelchair carrier attached to your vehicle is important when you are transporting a disabled person. Magneta Trailers provides exceptional wheelchair or mobility scooter carrier options that are ideal for your needs. Our team works hard to provide you with excellent selections that can carry up to 500 pounds, making sure that you can confidently tow a full scooter on your scooter carrier without worrying about it falling off. 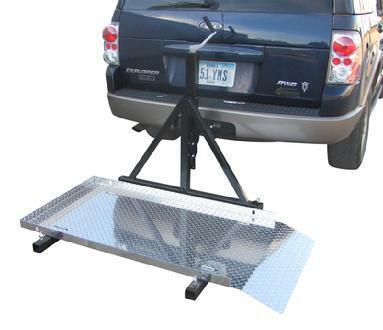 Our carriers are built to be attached to the hitch on your vehicle. 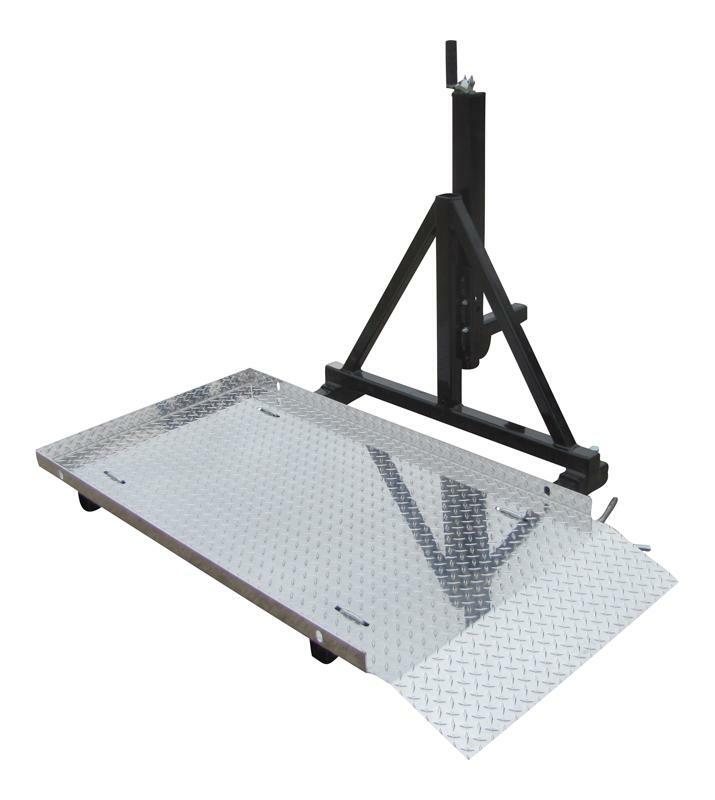 They come with aluminum platforms that lower to the ground for easy loading that can be mounted to the left or the right for your needs. When you are not using the carrier, it flips vertically for your convenience. 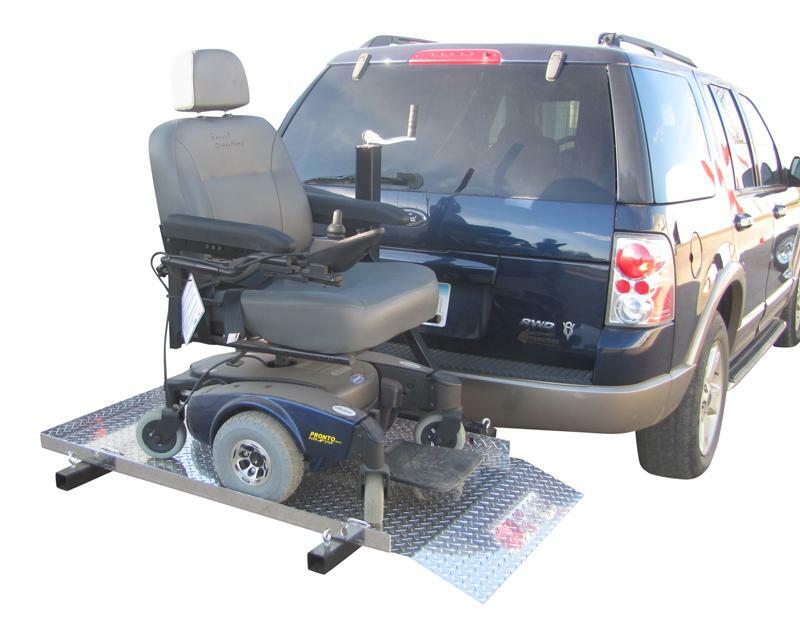 Take a look at the wheelchair carrier and scooter carrier options we have available here and contact us when you are prepared to place your order. We know you are going to be happy with your wheelchair or mobility scooter carrier. * Models RHWC1 & Models RHWC2FL are same units however on the model RHWC2FL the aluminum platform can flip up vertically when not in use, The flip up option serves well for people who choose to leave the carrier on the tow vehicle most of the time when not carring their scooter, this option also allows many people who garage their vehicle to close their garage door while still leaving the carrier on the tow vehicle. 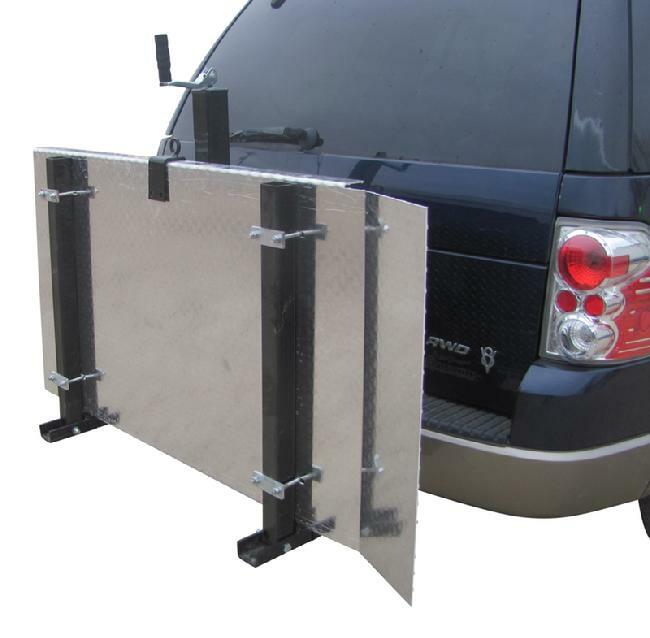 * Both 2" draw bar sizes are rated for 500 pounds, the carrier weight is 125 pounds so you must include the carrier weight when determining your hitch capacity. 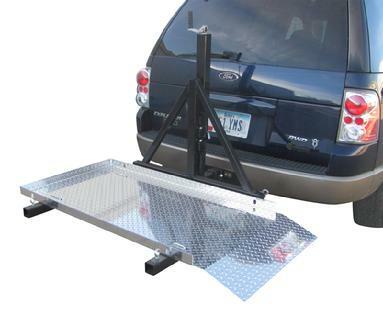 * Unit has a built in jack with top crank and lowers to ground for easy loading. Jack lifts 18" inches, Jack has locking pin with 3 lock points high, med or low.